The European Commission is desperately convening a meeting of Schengen states to resolve major delays and long queues after new external border checks were introduced April 7, in an effort to tighten security and counter the threat from terrorism, following a spate of attacks throughout Europe since 2015. There have been major delays in Greek and Spanish airports, border closures between Schengen zone member state Slovenia and non-Schengen Croatia, amid massive road tailbacks and major problems with out-of-date Greek ID cards. ​Growing Islamophobia throughout Europe has led to many external and internal borders — particularly in Hungary and Poland — being hardened to ensure greater security. "The implementation of the EU's directive on the border with Croatia has caused totally intolerable conditions over the last few days," Slovenian Prime Minister Miro Cerar tweeted. "Slovenia and Croatia will present proposals to the European Commission to… satisfactorily change this regulation as soon as possible," he said. The European Council adopted the new stricter border controls, March 7 and they came into force April 7, allowing for member states to "carry out systematic checks against relevant databases on all persons, including those enjoying the right of free movement under EU law […] when they cross the external borders." "The databases against which checks will be carried out include the Schengen Information System (SIS) and Interpol's database on stolen and lost travel documents (SLTD). The checks will also enable member states to verify that those persons do not represent a threat to public policy, internal security or public health," the Council said in a statement. However, there have been delays at many border controls — exacerbated by the Spanish sovereignty issue leading to increased checks on the border with non-Schengen Gibraltar, relighting ancient wounds. 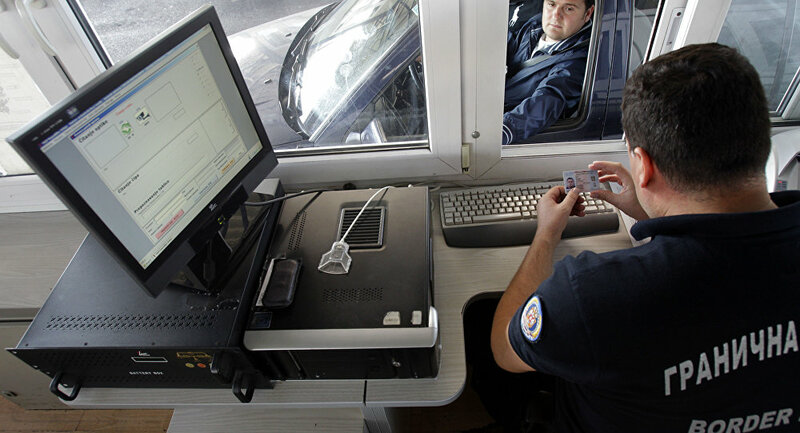 Most Greek nationals have outdated ID cards, meaning that all data at border controls is having to be entered manually onto the systems from cross-checking against the databases, leading to long queues. Combined, all the issues — that have arisen less than a week after the new controls were introduced — mean that the attempt to crack down on terrorism and secure the Schengen border have run into severe difficulty. ​"Reinforcing our external border controls is an important tool for fighting the terrorist threat in Europe and improving the security of our citizens. Systematic checks at the external borders will provide us with a means to address potential risks to internal security, including that posed by foreign terrorist fighter returnees," said Carmelo Abela, Minister for Home Affairs and National Security for Malta, announcing the plans April 7.